It sometimes seems like another lifetime ago, but I spent several years working in the music industry as a publicist for a number of wonderful musicians and entertainers. Without question, my favourite client of all time has to be Nova Scotia’s Dave Gunning. Not only is he a fantastically talented singer-songwriter, he’s also one hell of a nice guy. Dave and I spent quite a bit of time driving around the Maritimes during our years working together, and not once was he anything other than a fantastic road trip partner. It has been many years since we last worked together, but Dave continues to produce fantastic music and to tour around the world, sharing his Maritime-soaked folk music and hilarious and heartwarming stories. Having heard a few of his drinking songs over the years and several drinking stories, I was delighted to ask him to share a bit of that on the blog to celebrate the release of his latest album, Up Against the Sky. Drinking songs have a long history in folk music, do you have a favourite to listen to? A favourite to perform? Certainly they do. I have written a few celebratory songs about the topic myself including a new one called “Celebrate The Crop”. And it’s fun to sing it. Although it’s not just about drinking and really about celebrating harvest season, a few shots did make their way into the song. And my brother in law was trying to encourage me to release it on “legalization day” in Canada but it wasn’t ready on time for that. Your fans love to sing along to “Daddy’s Beer” – what inspired a holiday song about daddy having a little too much to drink on Christmas Eve? Well this one would be based on a true story. My dad and my uncles always liked to have a few beers on Christmas Eve and this idea hit me one night after dad told me I should be writing more uptempo, happy songs. I said, “Ok, I’ll write a happy and uptempo one about you!” He loves this song. And if truth be told he was always a champ on Christmas morning regardless of how he may have felt from the celebratory intake. Do you have a favourite post-show beverage? Sometimes I’ll have a beer or a little shot of whiskey. Although I don’t drink every night I play because I play over 160 shows per year. But a little something in moderation never hurt a fella, I guess. Your music is very tied to Canadiana and beer is a huge part of Canadian culture – do you have a favourite? My favourite beer profile could maybe be described as an American Style Pale Ale that’s a little bit hoppy or maybe slightly citrusy. I actually made a beer called ‘Sunburst’ with Uncle Leo’s Brewery in Nova Scotia and it’s been a popular one for them. I love it. In fact they just won a gold medal in Atlantic Canada for four of their beers including ‘Sunburst’. You’ve often joked that touring with Stompin’ Tom Connors involved a strong liver – what was your favourite part of that experience (beyond the beer)? My favourite part of the tour was hanging out with Tom and really getting to know him. It was on the contract that at least one of us had to stay up with him until 5 a.m. every night. I stayed up almost every night and really formed a close bond with him. I feel that it has lasted to this day even tough we lost him a few years ago. He was a good friend and my hero in many ways and I miss him. And, because it’s a wine blog, do you have a go-to wine? I had one the other day that I really loved and I believe it was Pinot Noir called Meiomi. It’s definitely one that I’ll be picking up again. Thanks to Dave for sharing his thoughts on the blog! 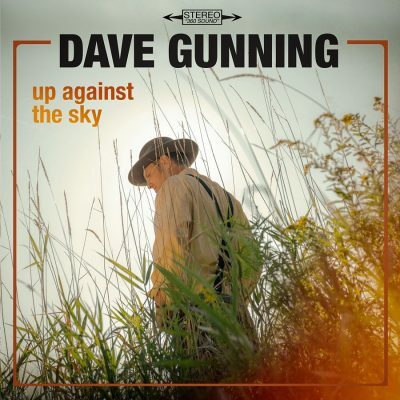 You can find out more about him and all the ways to listen to his music and see him on tour (things I highly recommend you do) at DaveGunning.com.